If you’re just building your home or are on the market for a renovation, then maybe you’re interested in implementing a home solar power system. If yes, you should know that such a system will be of great help in your daily life. Not only you will save money on bills but you will also help in having a cleaner, better environment. Today we’ll discuss some of the benefits of having a solar system for your home, but first, let’s see the steps you need to take. You will first have to think about what size you want your system to be and if you have the necessary space for that. Also, you must consider if you are in an area where you have enough sun, the local permits and covenants, and the most important part, check if you can afford such and investment. First, you will have to talk to your local system supplier and see if you have enough sun and that there are not things or buildings blocking the sunlight to economically meet your needs of electricity. 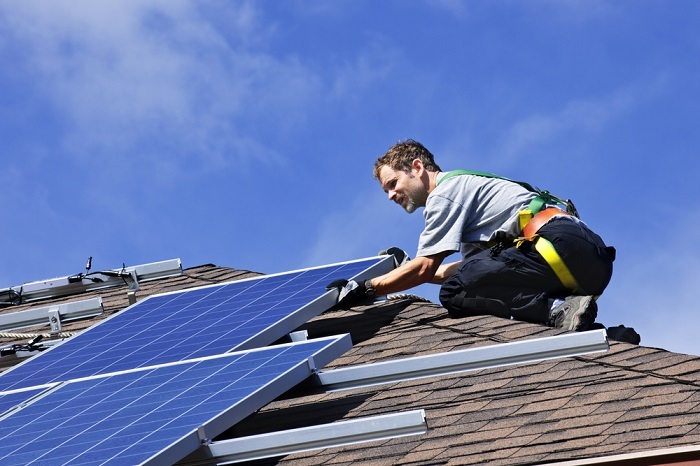 They can also advise you on the tilt your solar panels need to have in order to have the best results. A solar system, also known as a photovoltaic (PV) system, is using direct and scattered sunlight. As they get more popular among homeowners, they will help decrease the amount of carbon dioxide used with approximate 35,180 pounds per year. As a comparison, for that to happen without such a system, you will have to plant every year 88 trees. Of course the best scenario is having a solar power system and planting trees but either one should do the trick. Now is even cheaper to install this type of systems. Starting with 2011 the price dropped 60%. On the other hand, the efficiency of modern solar cells is increased so you pay less for more energy. The other good part is that if you ever decide to sell the house, a solar system will increase the property value. And finally, the benefit that may interest you the most – less money on energy bills! You definitely need a professional, someone who knows exactly what they’re doing and will give you a proper warranty for the system (between 20 and 25 years). It is best to check on their past similar jobs and see if there are no complaints. They will also have to help you with permits and covenants. You will probably need a building permit or an electrical permit (sometimes even both). Normally your PV supplier does this and everything is included in the final price. Be very careful with this step as you will find suppliers that don’t offer permits with the unit. That’s why is very important that at the very beginning you talk with the provider and see what’s the offering and the costs. How much money can I save with this system? For this we have an equation that will help you estimate the annual electricity production and the savings from electric bills. Electricity production from the solar system = (kW of PV) × (kWh/kW-year) = kWh/year. First you will have to determine the size of the solar system in kilowatts (kW) which is from 1 to 5kW (kW of PV). Then you will need the energy production factor based on your geographic location (kWh/kW-year). The residential rate has to be in dollars per kWh. If you have a rate of 20 cents per kWh input it as $0.20/kWh. After doing all the calculations, you will have to divide the final result by 12 so you can find out your electric bill savings. Of course, this formula won’t give you exact numbers as the electricity rates vary and everything is different from state to state. So, the overall price for a solar system will not be the same. Your roof has to receive direct heat from the sun during day time especially when the sunlight is stronger (between 10 a.m. and 2 p.m.). If the sunlight is blocked by tall trees and other buildings, your panels will be affected because they react to shadows. Some of them might even shut down and we can’t talk about efficiency anymore. Even a chimney can affect them so you have to take all these factors into your calculations before installing the panels. You will also have to calculate how many panels you will need and how big they have to be. That depends on how much energy you need and how much solar radiation reaches the ground. There is a simple formula for this: look at your electric bills and see how many kW of energy you use in a day then multiply it by 0.25 and that is the size of the system you will need. 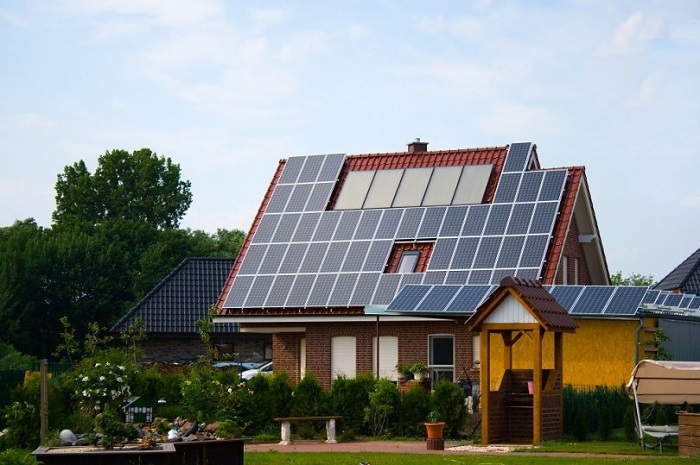 Even there are a lot of factors to take into consideration before installing a solar power system, at the end you will have considerably lower electricity bills, cleaner air to breathe, and a better value for your house. There is a wide range of solar systems on the market and they come in different models, sizes, and prices. This means that you really have from where to choose and you should make sure to select only the one best suited for you and your house. Andrew McKay is a seasoned hunter and fisherman from Anchorage, Alaska. As a member of Alaska Professional Hunters Association and International Hunter Education Association, he is always looking for the ways to improve his skills and to teach people around him.